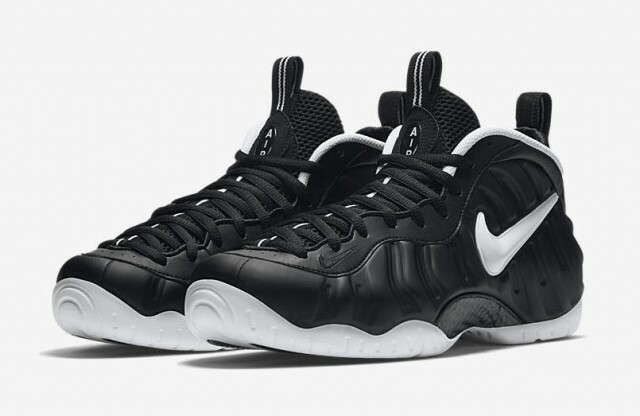 Before we say goodbye to 2016 we’ll be seeing at least one more colorway of the Nike Air Foamposite Pro hit retailers. Following up the Hyper Cobalt pair that dropped in August, we’ll now be seeing the return of the Dr. Doom colorway. Originally released back in the Summer of 2006, the Nike Air Foamposite Dr. Doom is part of the Fantastic Four Collection. The shoe features a matte black foam shell upper with white accents on the inner liner, outsole, tongue, and the jewel Swoosh on the side panels.